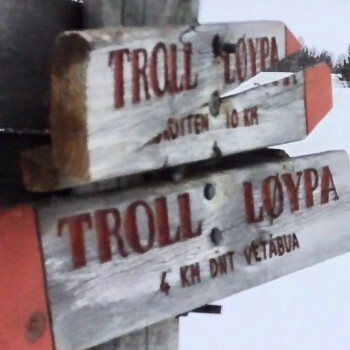 The Trolls Trail, or 'Troll-løypa', is a point-to-point cross country ski trip across the Rondane mountains of Norway. 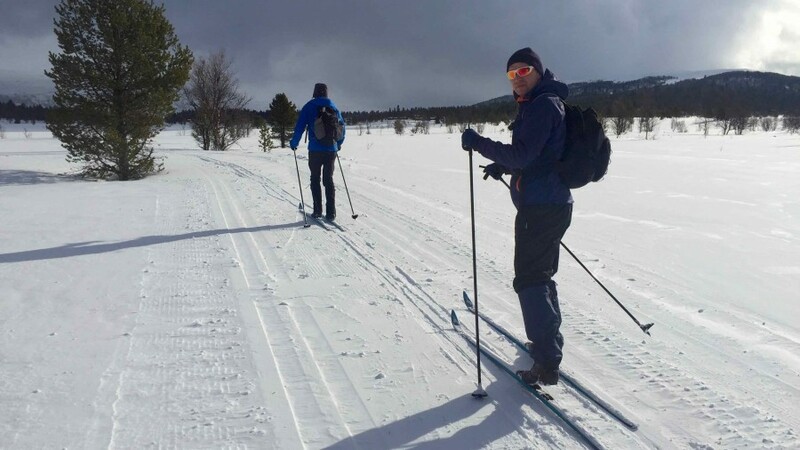 Revered as one of Europe's finest cross country ski tours, the 165 km (103 miles) journey passes through a beautiful winter landscape of frozen lakes, plateaus and forests. 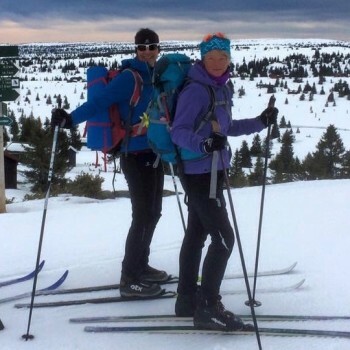 It's the perfect environment for a multi-day adventure on cross country skis. 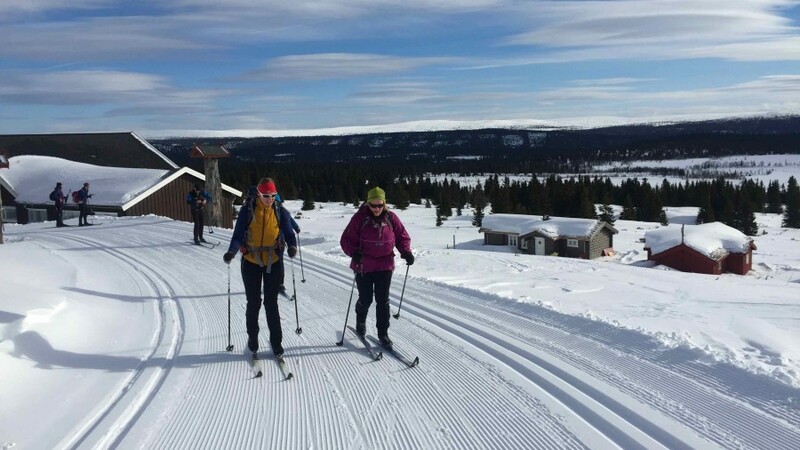 We begin in the north at Høvringen in the Rondane National Park, and ski south to the Olympic town of Lillehammer. The terrain is not steep, yet offers views of the biggest peaks in the area. 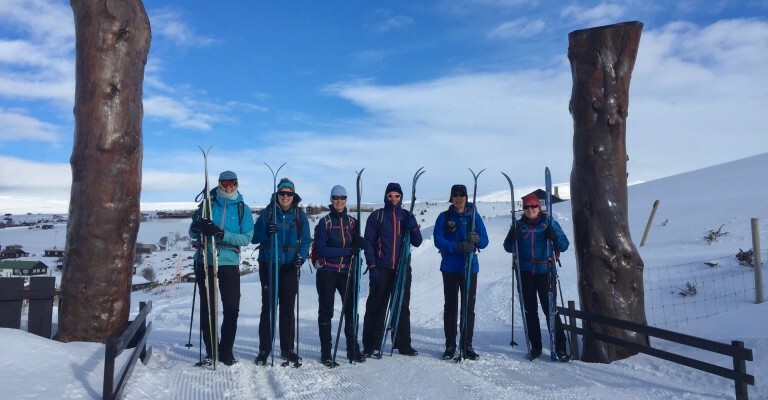 This is without doubt a fabulous cross country ski journey through a wonderful mountain landscape. It is challenging, but also hugely rewarding to ski into the Olympic Stadium at Lillehammer on the last day. The trip includes the chance to spend a night in a remote mountain hut where we can enjoy an evening by the log fire, with candlelight. A true escape to the wilderness! A huge thank you for a wonderful two weeks of skiing. I love what you, and Tracks and Trails provide and so enjoy my time experiencing the places and sights you take us to. I hope to join you on a new trip in future! 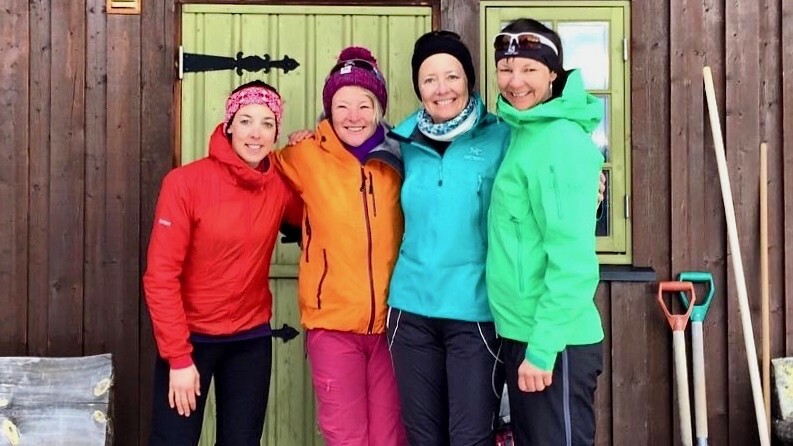 Today you will most likely have arrived at Oslo Gardermoen airport, where you will take the train north to travel to our start point at the mountain village of Høvringen. The train station at Oslo is in the main airport building. Please refer to the notes on 'Arrival & Departure' under the Trip Information section. It is also possible to arrive at Torp airport, but this does require a bus journey to get to the main train station at Gardermoen airport. We put our skis on right beside our hotel to begin our epic journey along the Trolls Trail. 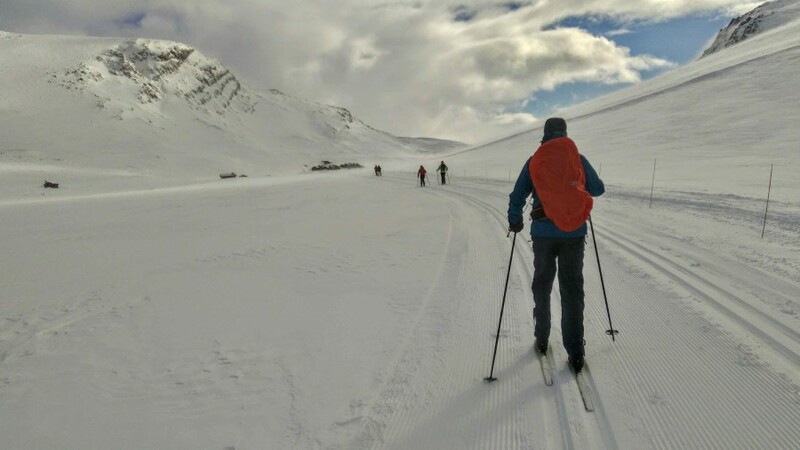 The terrain is gentle and undulating, in other words the perfect Norwegian landscape for allowing our skis to do what they were designed to do! Mid morning we have the chance to stop for coffee and cake at the wonderful traditional Smuksjoseter lodge. The Rondane National Park entrance is marked here by standing stones and we have the chance to read about the reindeer herds living in this environment. The mountains are home to the most genetically pure wild reindeer herd in Norway. 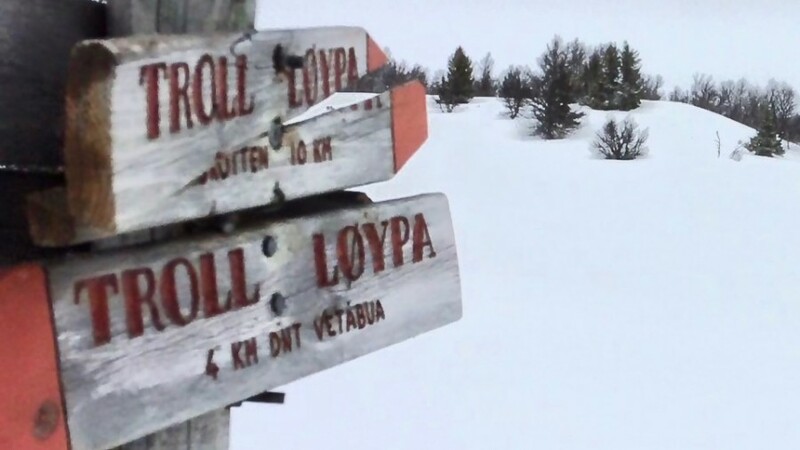 We then have a great swooping descent down to the tiny hamlet of Mysuseter , and then it is on to Furusjoen where we ski across the frozen lake to Rondablikk. A long tough day today as we leave Rondablikk and start our climb onto the plateau above the village. Much of today is off-track on relatively easy terrain, and a joy to be away from the trails for this one day. There is definitely a real wild feeling to the route today as we work our way across the mountainside past the DNT hut at Eldabu. Eventually, we reach the tracks coming from Venabu and wind our way among the small hills and eventually down the valley with a great descent to our overnight at the lovely hotel at Venabu. 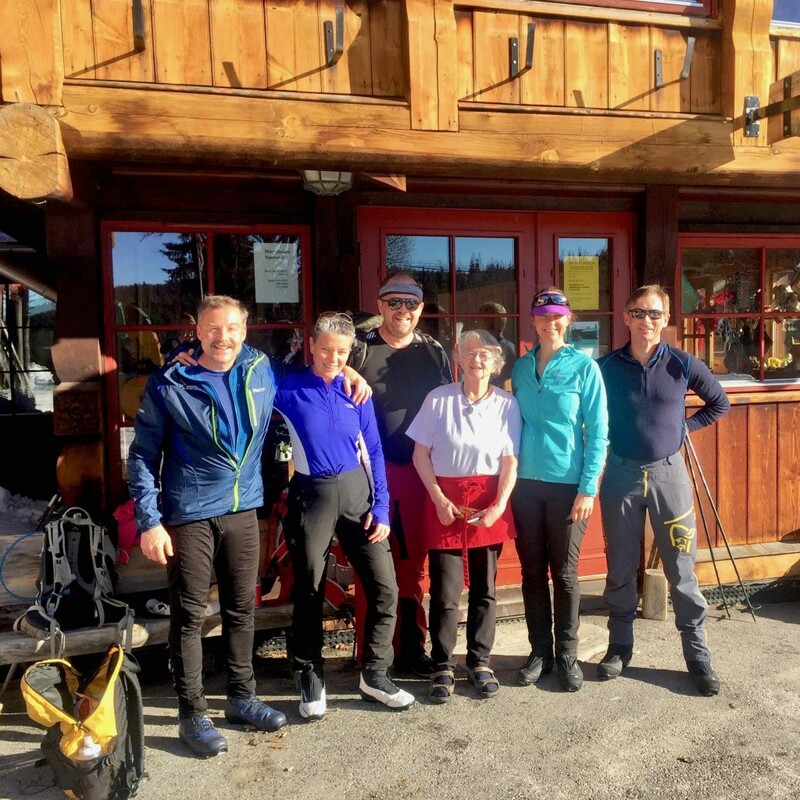 This family run hotel has been welcoming skiers for several generations and our hosts are superb, with a wealth of knowledge about the flora and fauna of the area. It is also the starting point for the famous Troll Ski Marathon which is held each winter. The hotel is the start line for the 120km and 95km classes. 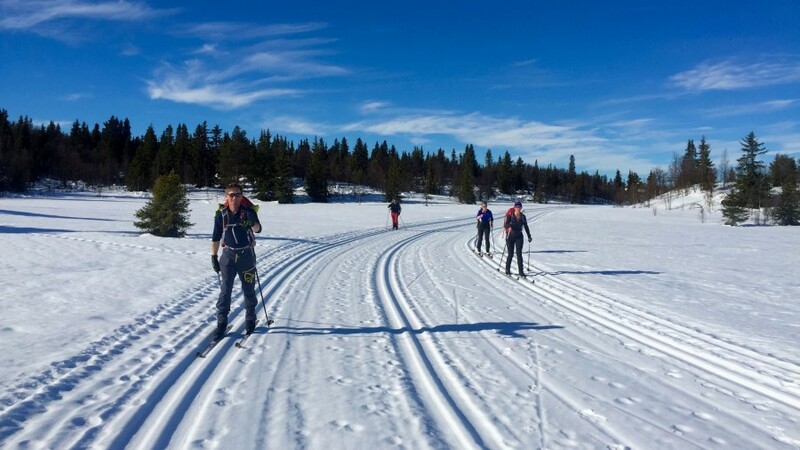 In 2018 the 120km was won by Havard Taugbol from Lillehammer Ski Club who completed the distance in a staggering 6:44:48. We will be take four days to cover the same ground! An easier day as we leave Venabu and continue through open high mountain terrain, skiing through the birch woods. There are some hills though, and quite a pull up towards the plateau above Øksendalen. Some great 'swoops' also as we work our way over the ridge line and down into the next valley. We spend the night at the small community of Friisvegen where the hospitality is always excellent, and good Norwegian cooking is on offer. Also a chance to buy the compulsory 'Troll' at the tourist centre shop! Trolls are part of Norwegian folklore and are usually rather unattractive looking creatures who dwell in isolated rocks, mountains, or caves, and are rarely helpful to human beings. A great trip through the open birch forest on partly prepared trails bringing us to the cosy little DNT hut at Vetabua. 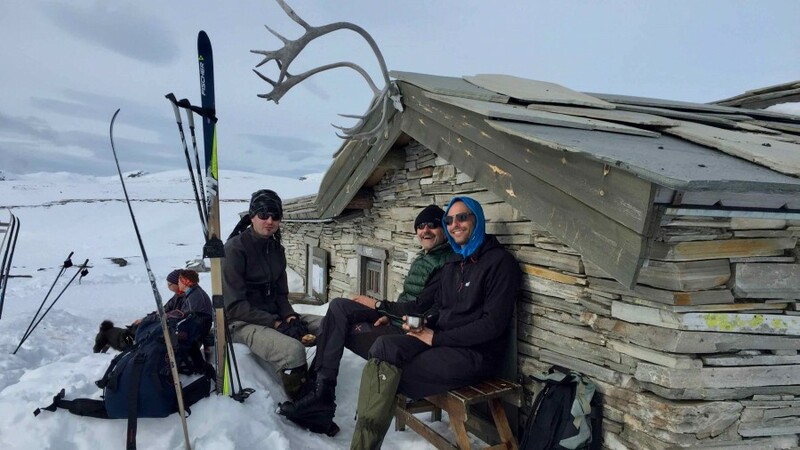 The DNT huts are brilliant, stocked with food, and logs for the fire, and it's a great experience to spend a night in a remote location like this. This hut is not staffed so you can expect to do some of the chores, such as collecting water, and lighting the fire, and preparing dinner, all good fun and part of the mountain experience. We have no luggage tonight, and we will ask you to share in carrying some food for your meals, along with a few extra items for your overnight. An early start is needed today as we have plenty of kilometres to cover. We head steadily south through birch woodland and past hamlets and farmsteads, many of these abandoned in the winter months. 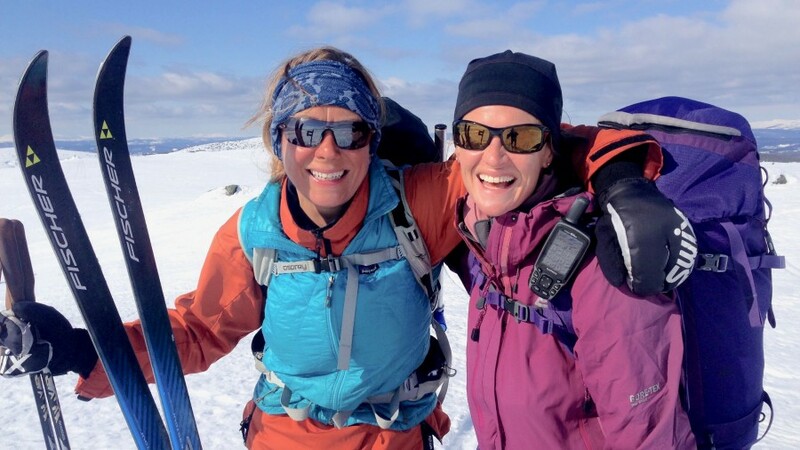 We can look behind us to the mountains of the Rondane and it's a good chance to note our progress and see just how far we have traveled in the previous days. This is a long day, but a very enjoyable one with some great countryside. We will make our way to the remote hotel at Hornsjø which has beautiful views to the mountains. A sauna and a swim in the hotel pool are usually very welcome at the end of this day, and a great way to ease muscles. 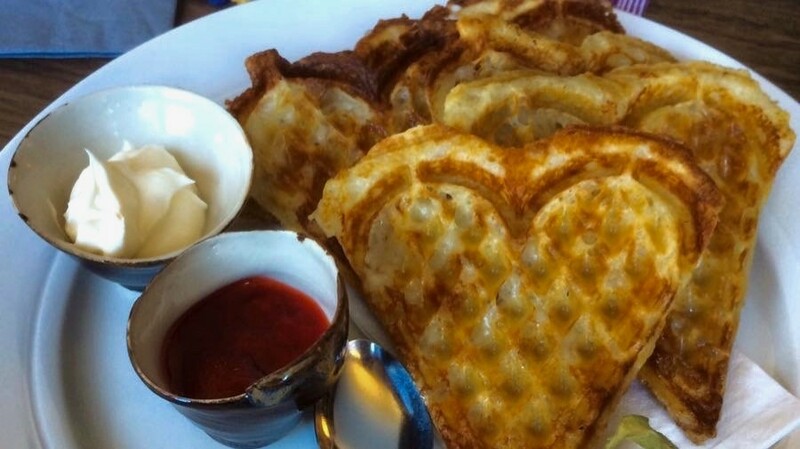 However, you may not make it past the waffles, jam and cream which we usually treat ourselves to upon arrival. 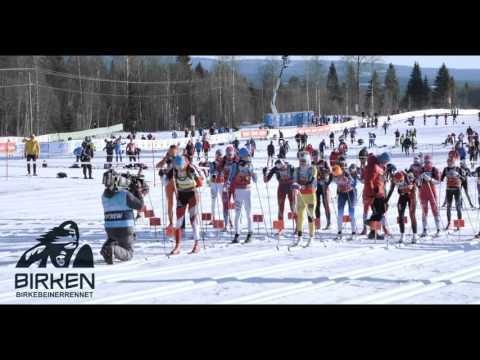 The finale today as we head for our destination at the Olympic town of Lillehammer. 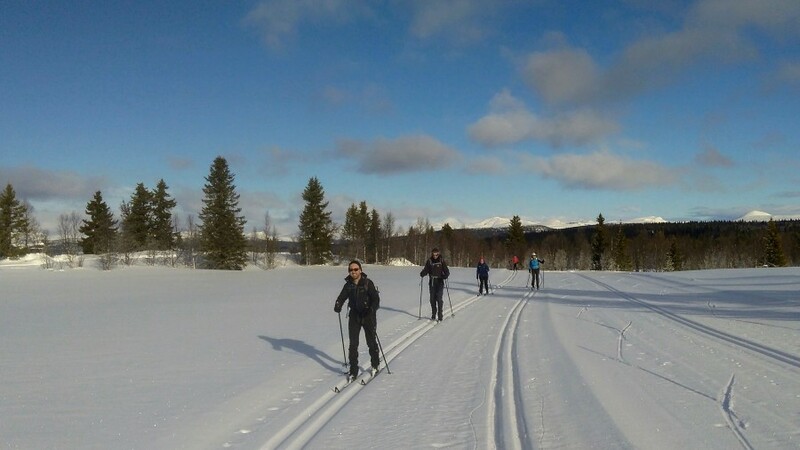 Our day beings with a ski south until we reach the lake of Reinsvatnet, enjoying the views of this famous cross country ski area. 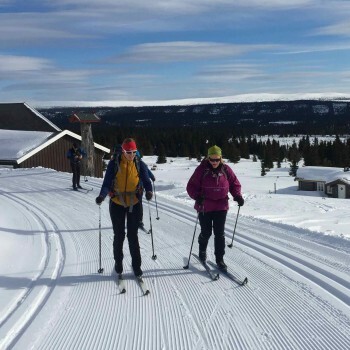 In winter cross country ski teams from around the world train here for the World Cup. The terrain this morning is gently undulating, and nothing too strenous for our last day. Late morning we arrive at Nordseter where we can enjoy a coffee and waffle. 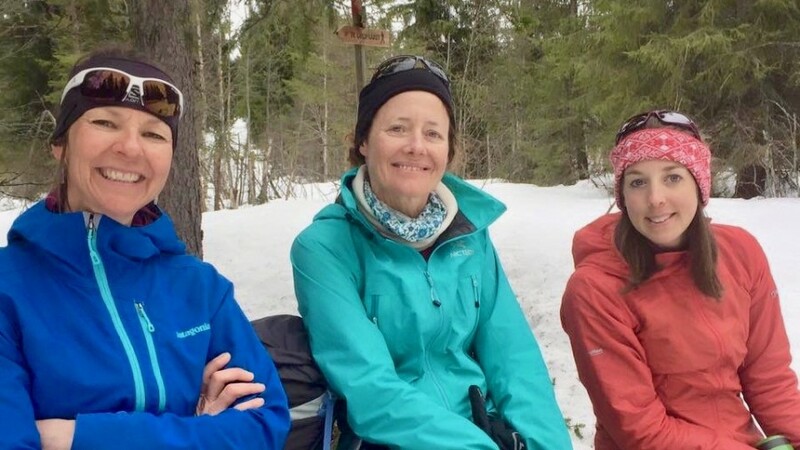 At Nordseter we will decide either to take the bus down to Lillehammer, or if the tracks are complete then we aim to ski all the way down to the Olympic stadium at Lillehammer. The last two years we have completed the entire route right to the stadium! Today you can take the train from Lillehammer to Oslo Gardermoen airport for your flights home. Trains run throughout the day from 0526 hrs onwards. Our accommodation is in the station building and could not be more convenient for the trains. NB. No, the accommodation is not noisy! Often our guests choose to spend an extra night in Oslo for sightseeing. Please let us know if you wish to include this option, which will be at an additional charge. On this tour you will stay in comfortable and cosy hotels, some have saunas. Our guests are usually very pleasantly surprised by the standard of the hotels in Norway and this trip is no exception. Do not expect luxury, but you will get character and good Norwegian hospitality. 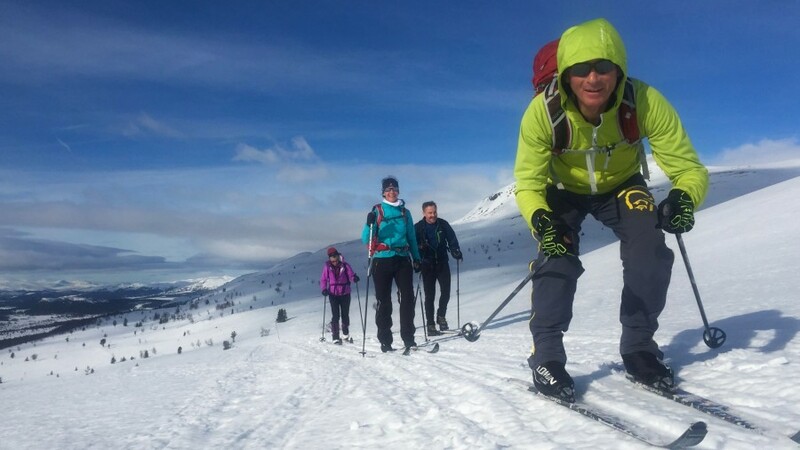 You will only need to carry a daysack whilst skiing and your main baggage will be transferred every day between accommodation points, except for one night when we stay at the self service DNT cabin at Vetabua. This also is very comfortable, and a genuine Norwegian hut experience. The huts do operate on a first come, first served basis, so be prepared to share space if there are others arriving ahead of us. A good reason to get started early on that morning! 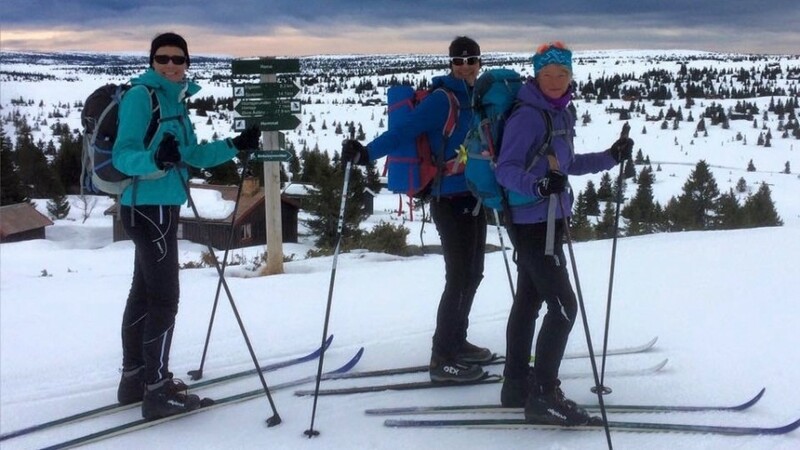 Our starting point at Haukliseter is a great introduction to Norwegian mountain hotels. It is a cosy and welcoming hotel perched on the hillside with great views to the mountains. The rooms are all en suite, and there are characterful living rooms with local painted wooden furniture. The meals are usually Norwegian buffet style and plentiful. The hotel also has a ski waxing room, and the ski hire shop is just a few minutes walk along the road. There is also a sauna and if you choose to arrive a day early, or on an earlier train then you might find time to enjoy the heat. The hotel is run by Tore whom we can only describe as a very laid back character who fails to see the need for any hurry. He's great! Rondablikk does indeed have a remote feel to it, and the setting is beautiful. It is one of those large Norwegian hotels built to cater to the home market in the days before everyone went overseas in search of sun and snow. The bedrooms are very comfortable and there is a sauna and swimming pool available. All rooms are en suite. The hotel used to have an impressive collection of stuffed animals though rumour has it they may no longer by there in 2019. Let us know what you find out! Venabu always captures the hearts of those who stay there. 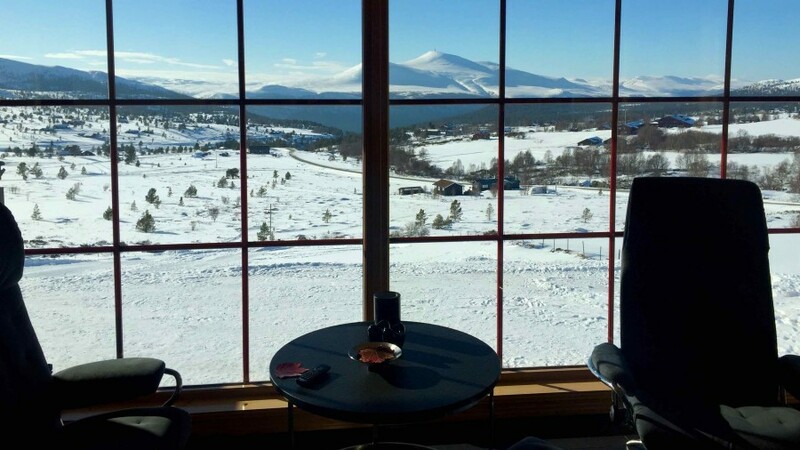 It is a simple hotel built in typical Norwegian style, family-run and with a very relaxed and hospitable atmosphere. It is without doubt the 'atmosphere' at Venabu that our guests love. 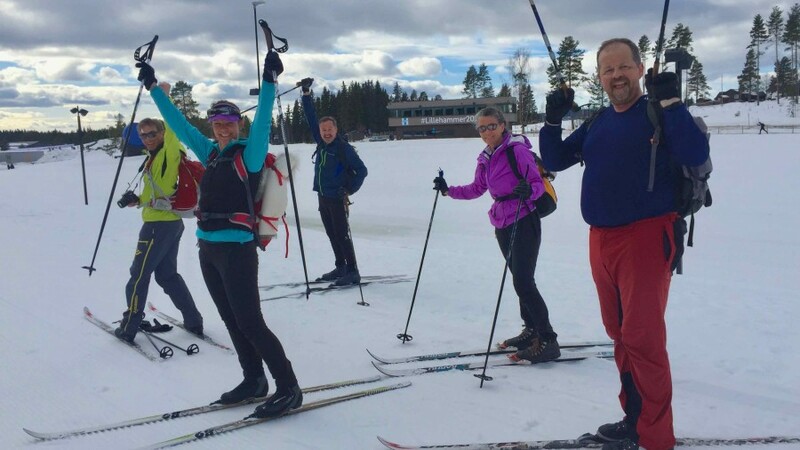 A true cross country ski hotel where everyone 'lives and breathes' Nordic skiing. 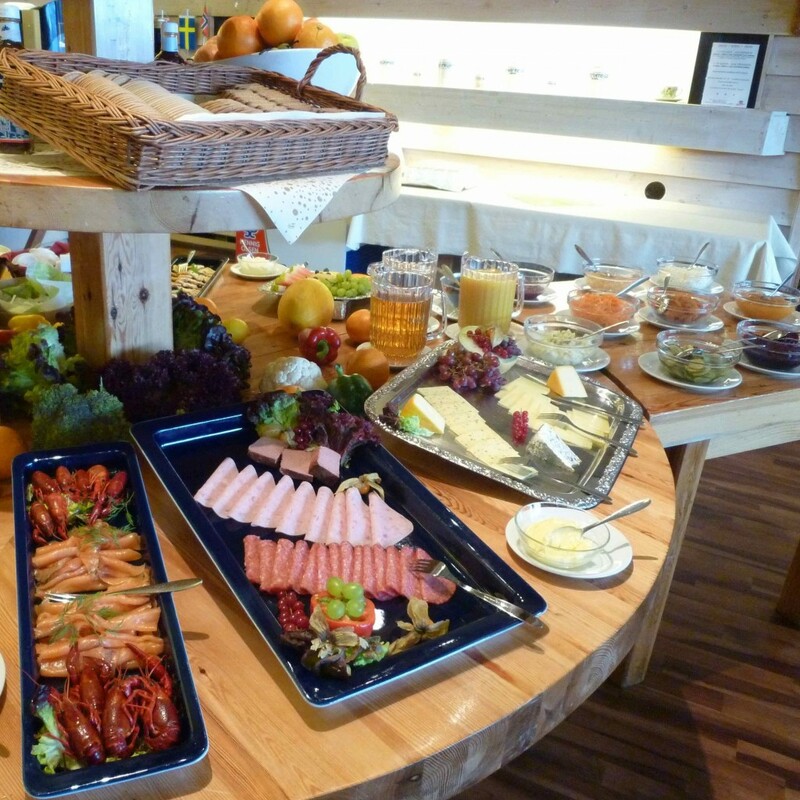 The meals are without doubt a highlight of the week, copious Norwegian style buffets for both breakfast and dinner. 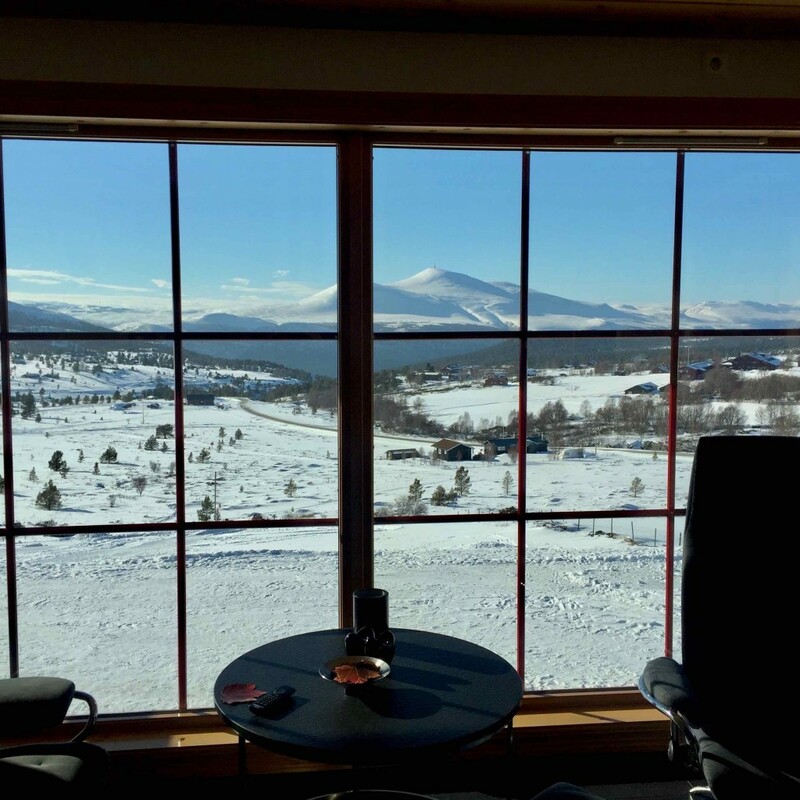 Facilities include a superb dining room, with views to the Rondane Mountains, a fully licensed bar, saunas, dedicated space for yoga/pilates classes, a fitness room, and TV lounges. There is also a large ski waxing room with ski hire and shop, as well as a souvenir shop. All rooms are en suite with shower, and toilet and are non-smoking. Tonight we stay in wooden cabins in the grounds of the Turistsenter at Friisvegen. The traditional cabins are warm, and cosy and often have a living area, and sometimes, if you are lucky, a wood fired sauna. 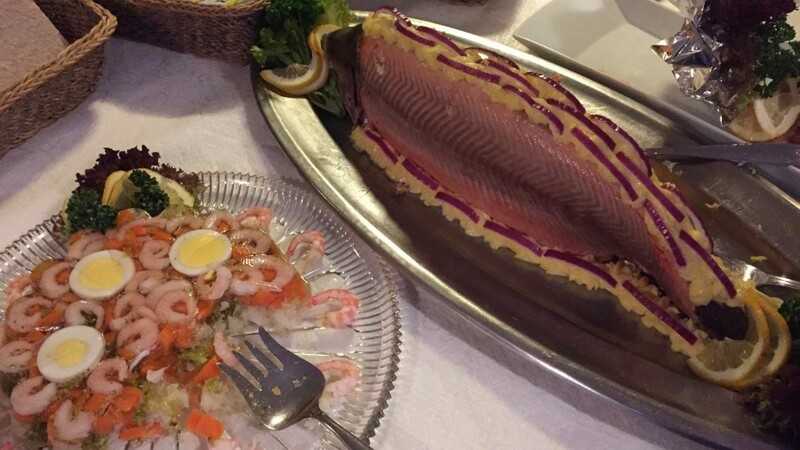 We eat dinner in the Turistsenter restaurant when Svanhilld will be sure to keep your plates full! There is also a supermarket, and a gift shop at Friisvegen. The supermarket stocks a number of ski waxes. We will stock up at the supermarket with extra food items for our night in the DNT hut at Vetabua. Each member of the team will be expected to carry a few items for the group meal. The DNT huts are a fantastic experience; stocked with food, logs for the fire, and in wonderful remote locations. This hut is not staffed so you can expect to do some of the chores, such as collecting water, lighting the fire, and preparing dinner, all good fun and part of the mountain experience. The sleeping arrangements are dormitory style. There are two huts at Vetåbua, one sleeps 8 people in 2 small dorms, and the other sleeps about 8 people in 2 larger dorms. The accommodation is based on first arrivals claiming the beds they wish, for this reason we always aim to start as early as possible to get to Vetabua ahead of any other groups. 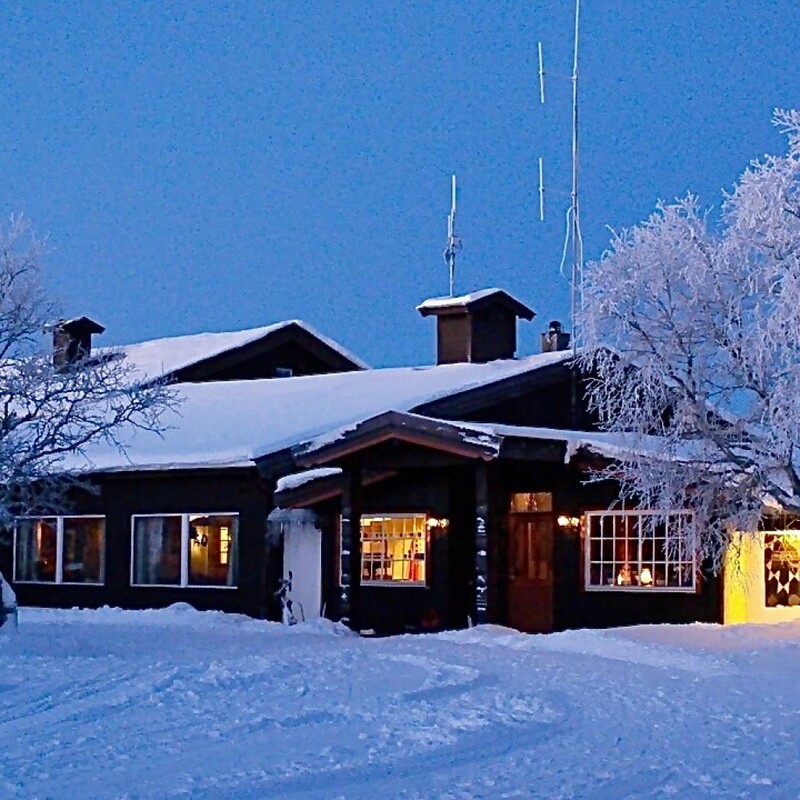 Hornsjø is a mountain hotel enjoying a remote location on the edge of the forest where elk are common. The bed-rooms have recently been renovated, and the lounge area with large 'picture' windows with views across the landscape is a lovely place to relax with a drink. All rooms are en suite, and there is a swimming pool and sauna. 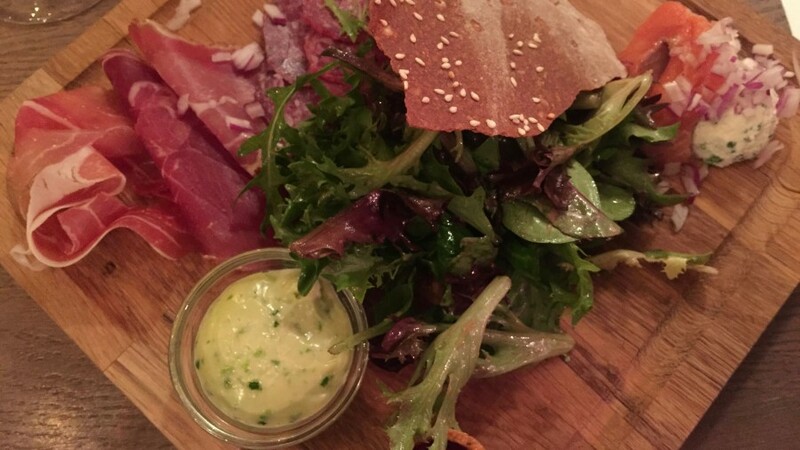 The food at Hornsjø is simple but plentiful. We are always happy to stay here in a bid to support the owners who are working hard to generate business for the hotel. 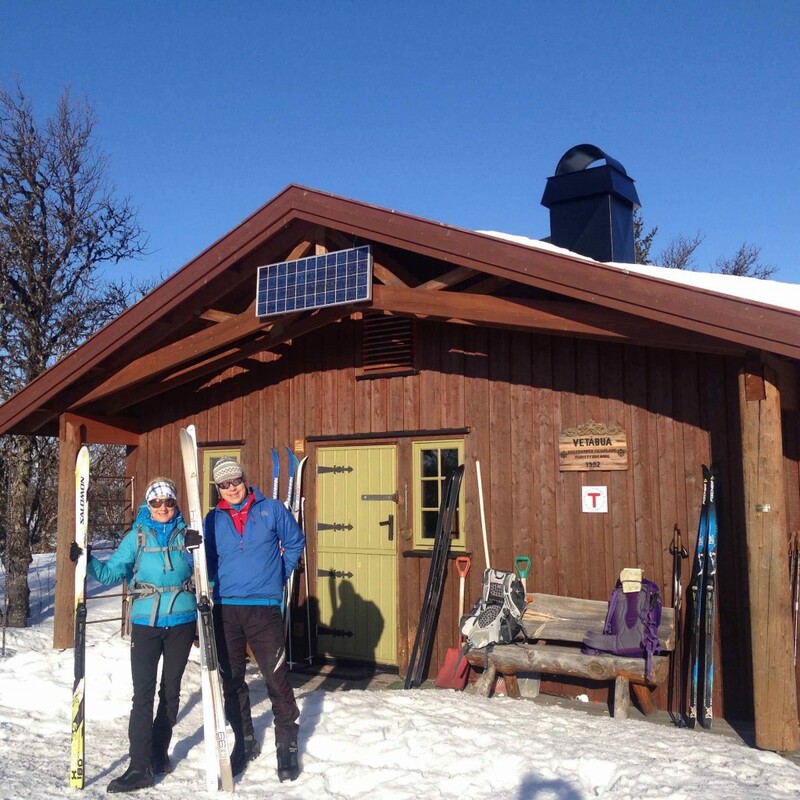 Without facilities like this we would struggle to ski the Trolls Trail as a point-to-point journey. Our accommodation is ideally placed for onward travel on your departure day. 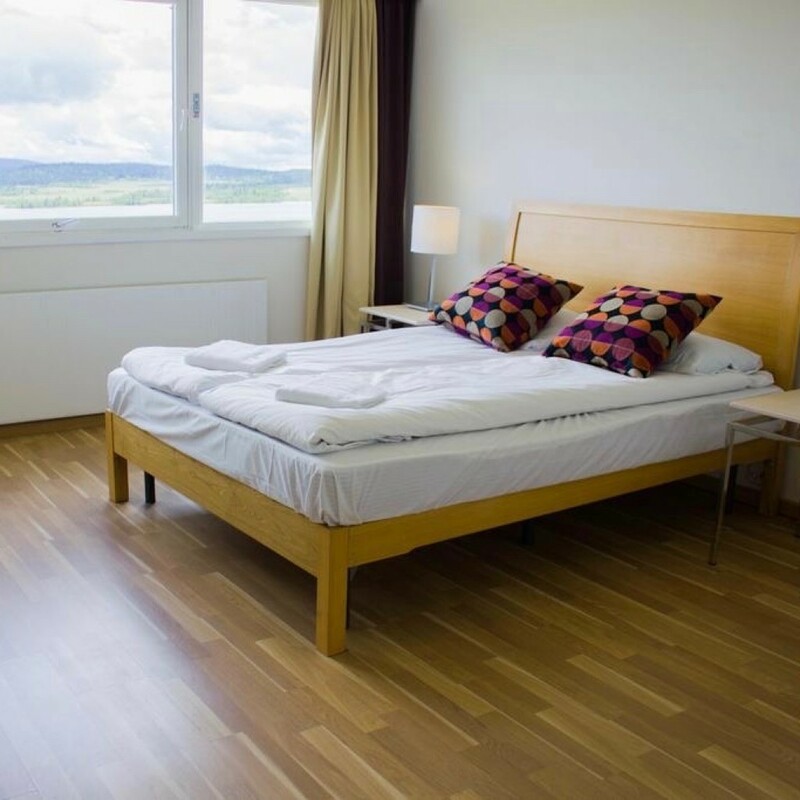 We stay at the spotlessly clean and comfortable Stasjonen Hotel which is literally right on the station platform, and only a short walk from the town centre. Do not worry we have never been kept awake by the trains! Their website often describes this accommodation as a 'hostel' but we can assure you it is not like any other hostel we know. It's a lovely place, and the rooms all have en suite facilities. Our location means that it is very easy just to hop on a train to the airport in Oslo the following morning. There are many shops and cafes in Lillehammer and you may wish to spend some time browsing after we have checked-in to our hotel. To reach the start of the tour you will travel north by train from Oslo Gardermoen Airport to the town of Otta. Here we will take a taxi transfer of approximately 30 minutes to Høvringen to our mountain hotel. You should take the 1429 hrs to Otta, which is likely to be on the Departure board as the line to Trondheim S. It arrives at Otta at 1733 hrs. You will be collected by our hotel, and the transfer to your hotel from Otta station is included in your trip fee. Should you choose to take another train this transfer will be at your own expense. Please be sure to inform us of your plans. We ask you to contact us BEFORE booking your flights so that we can verify the latest train times as these are published 3 months before departure. The train station is in the airport building at Gardermoen and it all works very efficiently in terms of connecting with your flight. Tickets are easily booked on line, and you will usually have a reduced price if you do this in advance at Norwegian Trains. Please note that our hosts at Høvringen take a typically Norwegian laid-back approach to picking up guests at the station. Normally, your ski guide will be arriving on the same train, however, if they are not then it is worth pointing out that you will have to actively 'look' for your transfer driver. It would be unusual if the vehicle has a 'taxi' sign as it will often be the hotel staff who will collect you. Otta is a very small station and we suggest you approach anyone who looks like they might be waiting on guests! The hotel telephone number is 0047 61 23 37 17. At the end of the trip we will return from Lillehammer to Oslo airport. 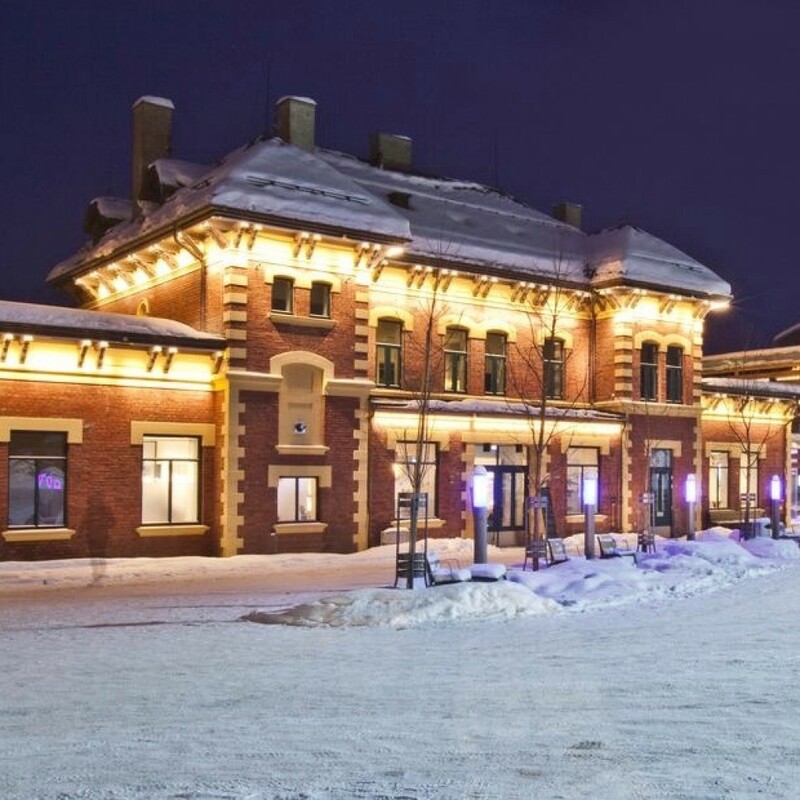 If necessary you can take the first train of the day from Lillehammer at 0526 hrs, arriving at 0701 hrs. There are trains departing regularly from Lillehammer to Oslo throughout the day. King Bore - 'King of Winter' from Nordic mythology says he can't promise anything, but in this area they begin to prepare the tracks as soon as they have enough snow in December and continue until mid-April or after Easter. The skiing on the Trolls Trail can range from perfect groomed snow to icy/rutted tracks. In Norway they groom the tracks after snowfall, and if there has not been any fresh snowfall for a few weeks, then it may be several weeks since the tracks were groomed. Having said that there are sections where the local hotels will groom each day regardless of the snowfall and we can have many miles of wonderful skiing! 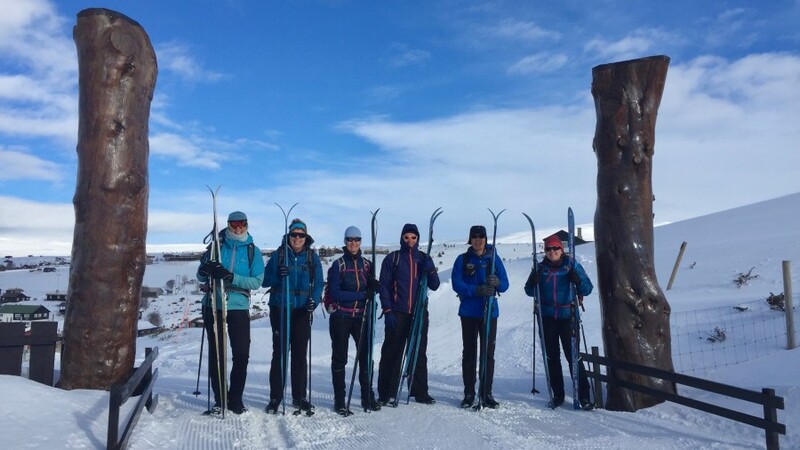 For this tour you can use either a fish scale ski or waxed skis, but we do request that you have metal or half-metal edges for extra control on descents. Hire in Norway will normally be on 'waxable' skis, with metal or half-metal edges. If you are unfamiliar with the 'art' of waxing then your guide will give you instructions each day. The stable Norwegian snow conditions mean waxing is easy to pick up and you'll soon feel the benefits of a faster glide on a well waxed ski! The skis at Hoveringen are metal edged with NNN BC bindings and Back Country boots. Or you can hire half-metal edged with NNN track boots and bindings. We advise that if hiring, you hire skis AND boots, rather than hoping your boots will fit the bindings. 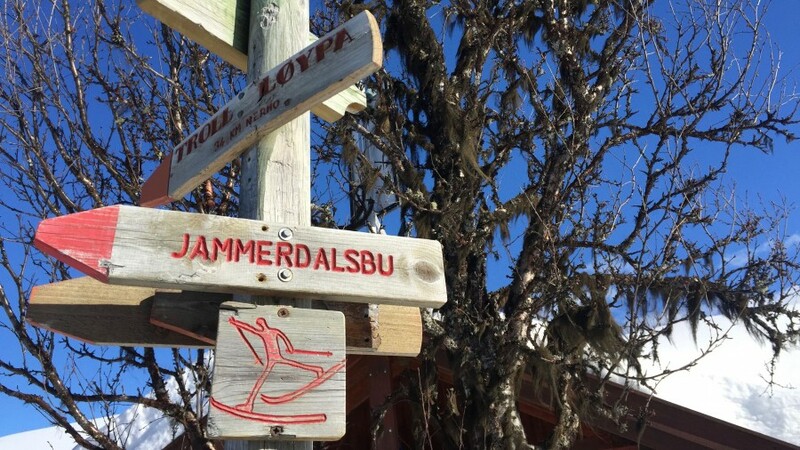 Ski rental is not included, and in 2019 is expected to cost 900 NOK which will include the return of your skis from Lillehammer to Hovringen. A glimpse of the terrain we will ski through from this clip of the Troll Ski Marathon. 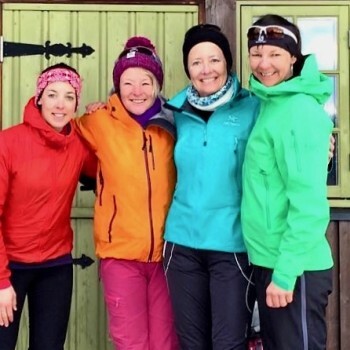 On our Trolls Trail we will also encounter a section of the world famous Birkebeiner Ski Marathon a 54km classic style race that has over 16,000 participants. 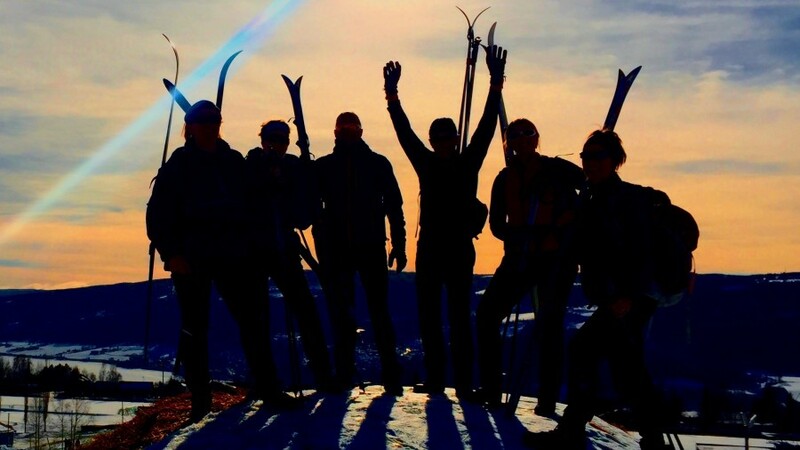 After skiing the Trolls Trail you might want to join them? We have arrived at the Olympic stadium in Lillehammer with the Birkiebeiner competitors skiing along side us! A thrilling end to our epic journey.